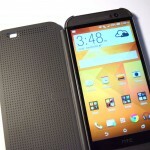 HTC’s Dot View case (HTC, Best Buy) for their new One (M8) adds a bit of unique functionality, allowing you to perform some basic phone functions without even touching the screen. 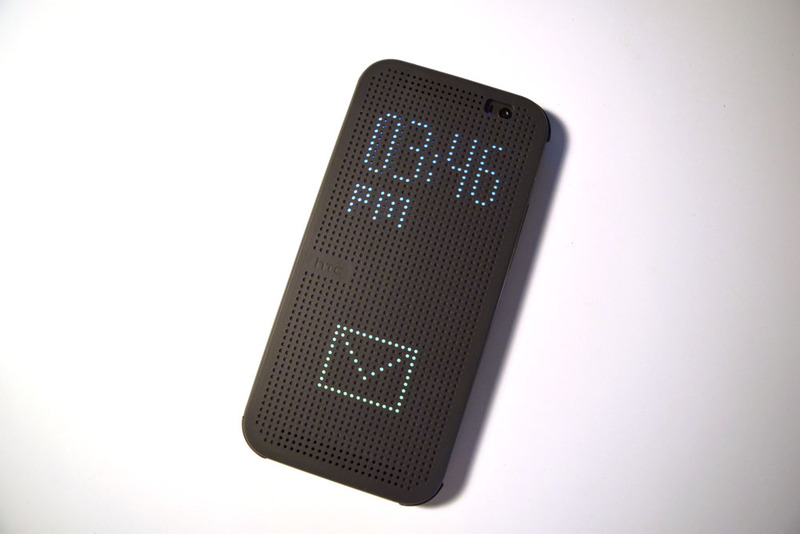 The Dot View is, for the most part, a standard flip-style case. 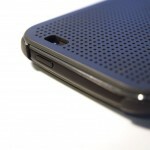 You have a thick, rubber front cover as well as a hard plastic shell that your phone installs into. The installation part is very simple. While you don’t get much of a “click” during installation, your phone is very much securely installed. With some small drop tests (about 2 to 3 feet in height), the phone has always stayed put. I was actually worried that the phone would fly out. I imagine that that might be the case with heavier drops. 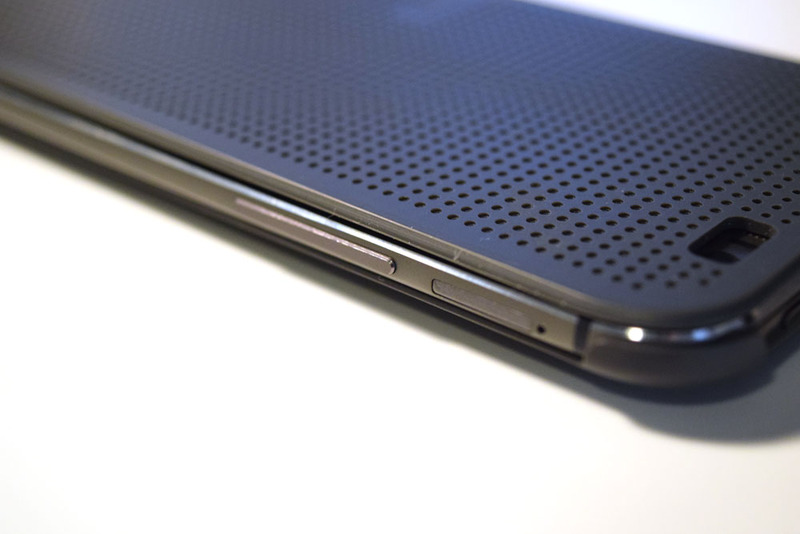 Along the right is a long cutout, giving you complete access to the entire right side of your phone. The same goes for the top and bottom. 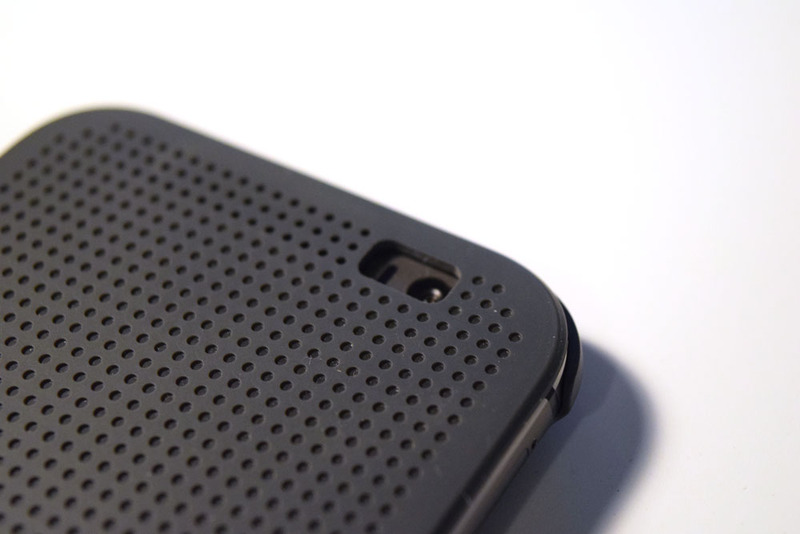 The back has cutouts for both cameras, the microphone, as well as the dual-LED flash. 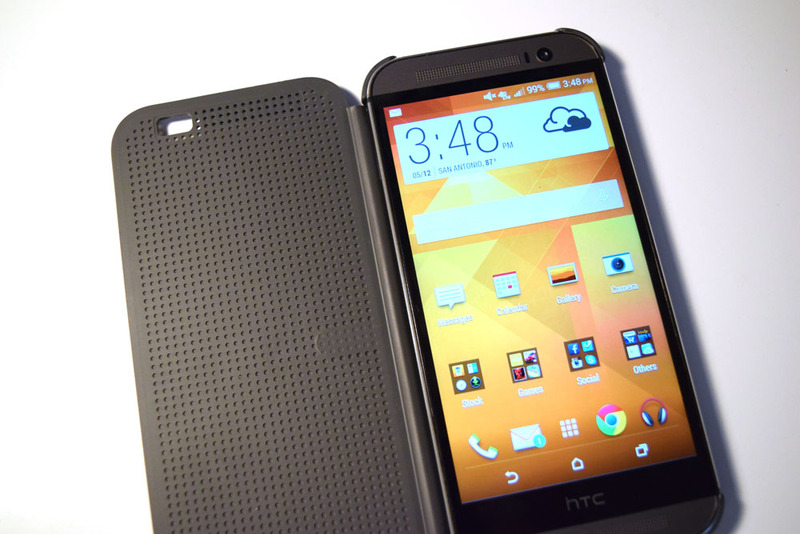 Lastly, you’ll find some HTC branding towards the middle. 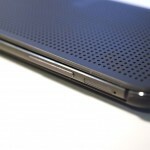 The main attraction is the front cover, using a perforated design. 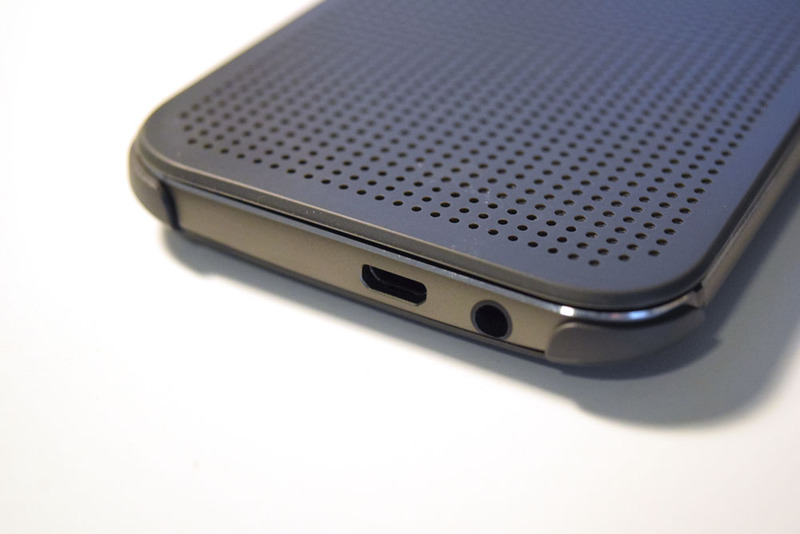 The top and bottom holes are completely open, allowing audio from the front facing speakers to flow through. 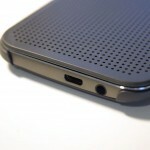 This is because you can answer phone calls without even opening the front cover, as demonstrated in my review video above. 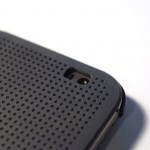 The holes that aren’t completely open have a thin layer of material, which can actually trap some debris, and is quite hard to clean. You can also interact with the Dot View interface a little bit, including double-tapping to turn it on, etc. 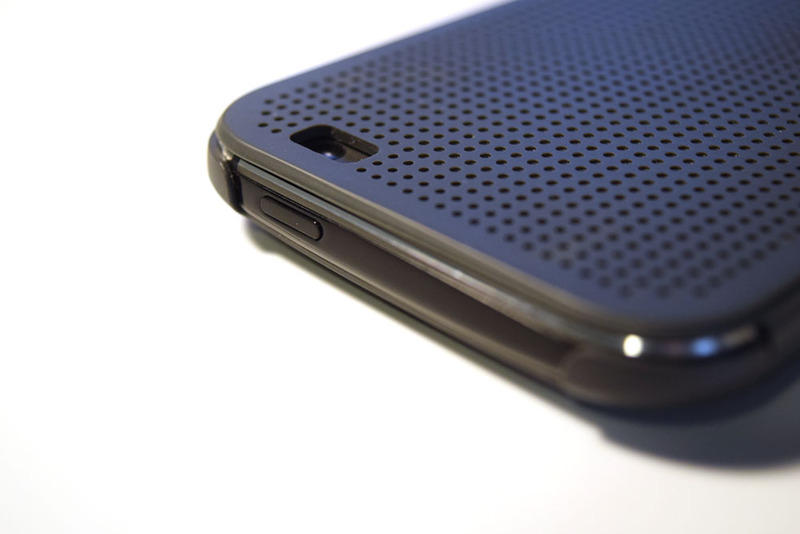 If you’re hoping that this case adds some grip to your slippery M8, you may want to look elsewhere. The plastic backing of the case can be quite slippery on its own. 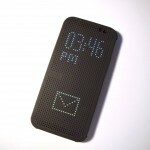 The Dot View itself doesn’t add much bulk to the phone. All told, this is a fine little case. There’s not much to add in the way of grip or protection, but its simplicity may be enough for you to enjoy, also assuming you can move past its high price of nearly $50.